Like a lot of my fellow animal lovers, I’m really picky about experiences involving wild animals in captivity, and I always try to do some research before visiting a zoo or sanctuary to get a feel for how the animals are treated. When my mom suggested a trip to the Wild Animal Sanctuary in Keenesburg, (30 miles northeast of Denver) I instantly hopped onto their website to learn about their program. The sanctuary’s main focus is to rescue and care for exotic and endangered species who have been subjected to illegal trade and abusive, cruel conditions. 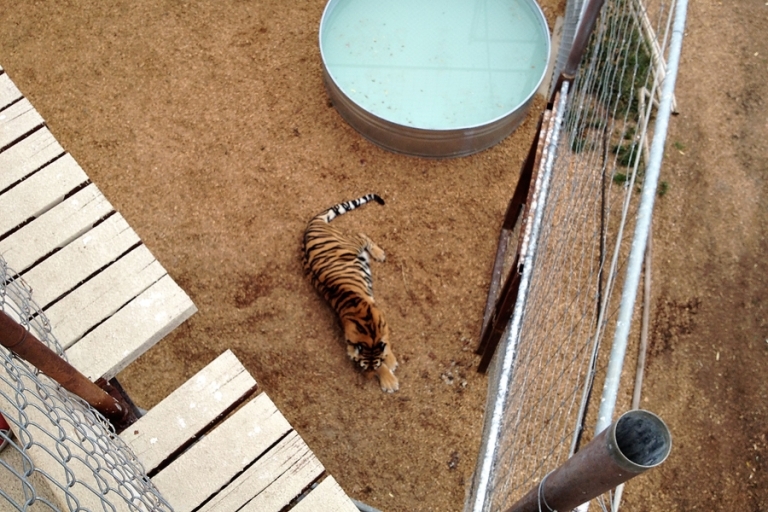 The animals are brought to the sanctuary where they spend a period of time in secluded areas (see tiger photos below) to get adjusted and rehabilitated. 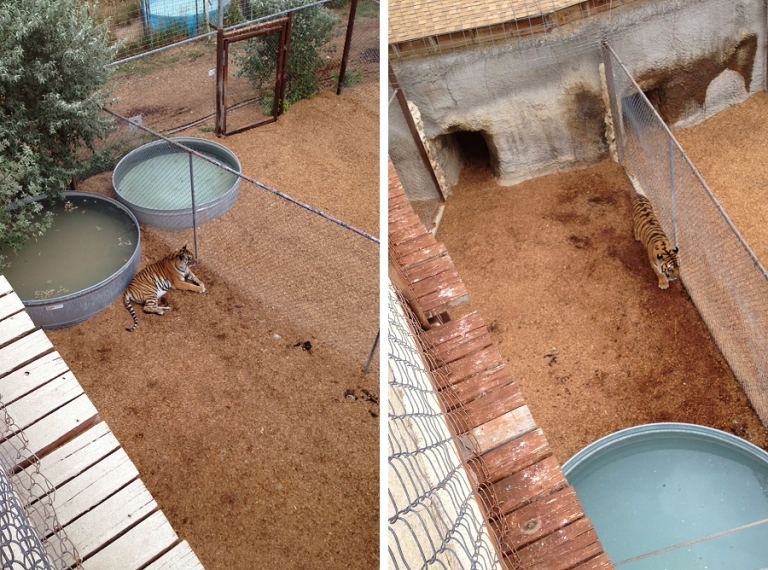 Their permanent homes are open spaces similar to their native environments and they receive veterinary care as needed. The rescue stories are absolutely gut-wrenching and heartbreaking, but a visit to the sanctuary uplifted my spirits to see the beautiful animals in a wonderful second-chance situation. Strolling along the walkway above the open habitats is a great way to spend an hour or two on a nice day. 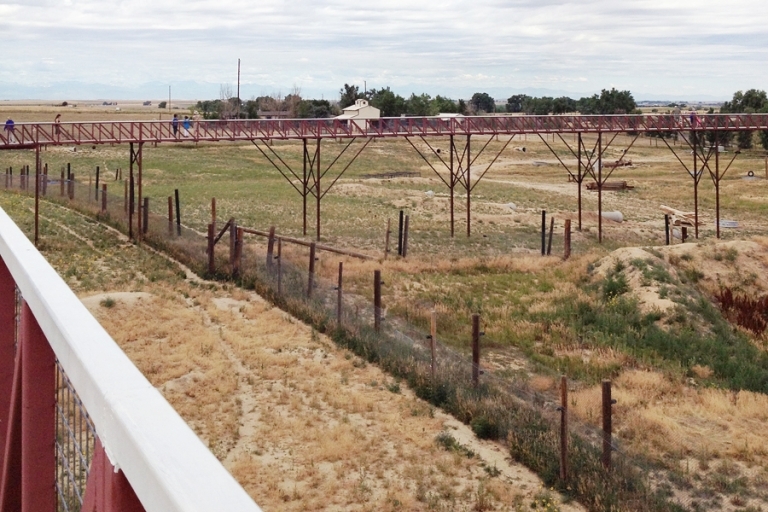 The self-guided tour is approximately two miles of easy walking if you traverse the raised walkway end-to-end. You can do the whole tour in an hour, but if you want to read all of the rescue story signage and pause to watch and photograph the animals, I would plan for almost two hours. If you can, try to go in the morning (or maybe in the evening?) when it is cooler. All of the animals were out when we visited at 9am, but as we were leaving the animals were starting to retreat to their caves and hiding spots because the sun was getting warm. We saw African lions, black bears, a grizzly bear, leopards, mountain lions, tigers, and wolves. Several of them were enjoying a lazy, restful morning (i.e., the easiest to photograph with an iPhone), but some of the animals were eating, running, and playing. If you plan to take photos, bring a normal lens and a telephoto lens! Because the animals are in open spaces, they are sometimes quite close to the walkway and other times they are off in the distance. I only brought my iPhone with and it sometimes just didn’t get the job done. 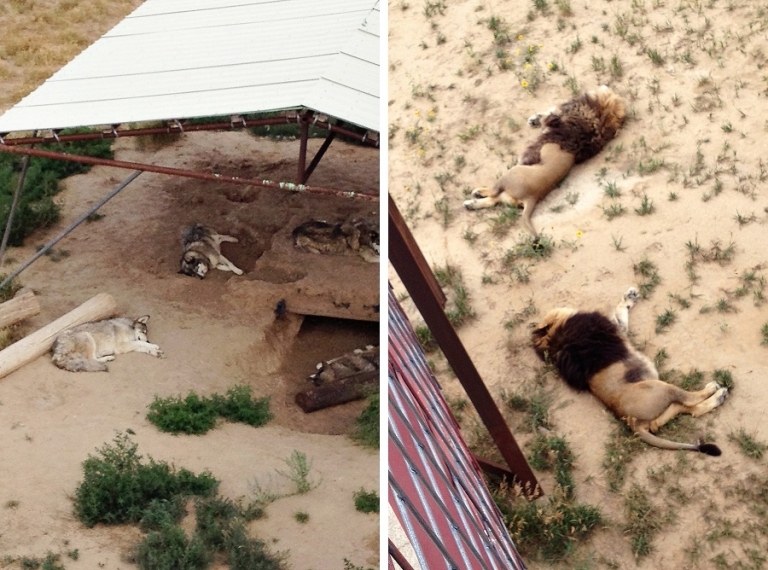 I didn’t even photograph my favorite part of the sanctuary – the Bolivian lion house. Watching the huge, full-grown lions play like kittens, I was simply too mesmerized to take photos! I’d love to go back another time with my SLR and lenses to grab some better shots of these majestic animals.